Both breads are delicious! 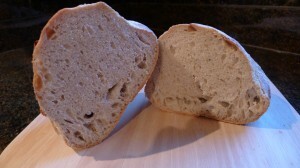 The first bread (Peter Reinhart’s sourdough) had a tighter crumb compared to the Tartine style sourdough. I attribute this to the shaping method as well as not using stretch and folds when making the dough. 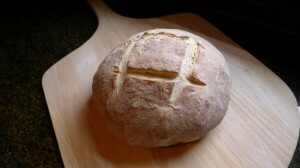 In his book, The Bread Baker’s Apprentice, Peter Reinhart demonstrates a pinching method to make a boule shape. 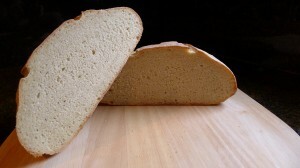 The Weekend Bakery recipe uses stretch and folds in their dough recipe and in the shaping method. 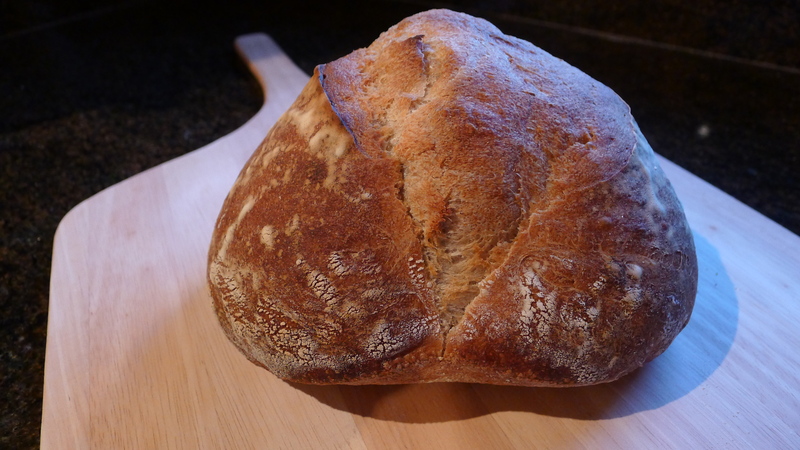 I’ve made the Tartine style bread 3 times and continue to have problems w/ the loaf splitting open at one of the slash points which causes the boule to lose its round shape. Since the ambient temperature of my kitchen tends to be cool this time of year I may need to increase the final proofing time. This has worked for me w/ other doughs when baking in wintertime, so I’m hoping this will provide the solution. Both breads are time consuming but worth the effort! Happy Holidays and Happy Baking! !